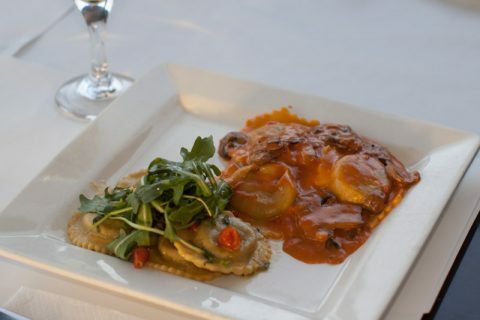 For the month of February, Ottavio doubles your taste buds pleasure by offering you a Duo de Raviolis. The first is stuffed with mushrooms and served draped in olive oil, parmesan, fresh basil and miniature sweet and sour miniature peppers and covered with fresh arugula. The second is stuffed with braised beef and covered in our homemade rosee sauce and garlic butter and topped with mushrooms. Truly a taste phenomenon!! !